The holidays bring warmth into our hearts as we prepare to spend more time with our loved ones, creating cherished winter memories for years to come. Unfortunately, all this hustle and bustle can really take a toll on our backs, knees, and feet. The podiatrists at The New York Center for Podiatric Care and Sports Medicine have a few tips for you to survive the season with fewer aches and pains. Starting from the ground up will help to alleviate much of the stress on your body. Are you cooking Christmas dinner this year? Don’t let it leave you feeling crippled! Will you be spending a lot of time in the kitchen baking and preparing meals this season? Naturally, arranging a work station at a table or using a stool to sit at the counter are your ideal choices, whenever possible. NY Podiatrist Nadia Levy also recommends using anti-fatigue mats and comfy slippers in the kitchen during holiday season. “Anti-fatigue mats are ergonomically designed to absorb shock and add cushioning. They’re best placed by a prep counter, in front of the stove, and near the sink — where you do the majority of your kitchen work,” Dr. Levy explains. The American Podiatric Medical Association accepts several brands of anti-fatigue mats, including: Genuine Joe, Executive Mat, and Guardian Flex Step. Wellness mats designed to reduce fatigue and foot pain make a world of difference in the kitchen. He adds that a warm foot soak with Epsom Salt or essential oils like lavender is a great way to relax the foot muscles at the end of a long day. For a more festive foot soak, you can drop a bit of mint oil with a few handfuls of pine needles from the Christmas Tree into a warm basin of water for a relaxing, natural aroma. All that standing in line through airport security and sitting on the plane can leave you with swollen legs and painful feet. “Compression stockings are really a life saver — not just for pregnant women or varicose vein sufferers, but for travelers, too,” Dr. Levy explains. These special stockings for men and women mimic the pump action of the leg muscles to improve circulation, even while sitting. Travelers who are doing a lot of sightseeing and find themselves dealing with plantar fasciitis heel pain can benefit from the use of a night splint to keep the foot tendons stretched, say experts. Over-the-counter ibuprofen is an often-overlooked remedy for swollen, “barking” dogs, too. “A good rule of thumb is to know your own body,” says Dr. Katherine Lai, DPM. “The holidays bring a lot of cheer, but for some people, they also bring gout.” She explains that overindulging in shellfish, red meat, red wine, and beer can trigger painful gout attacks, an inflammatory condition in the feet from the buildup of uric acid. 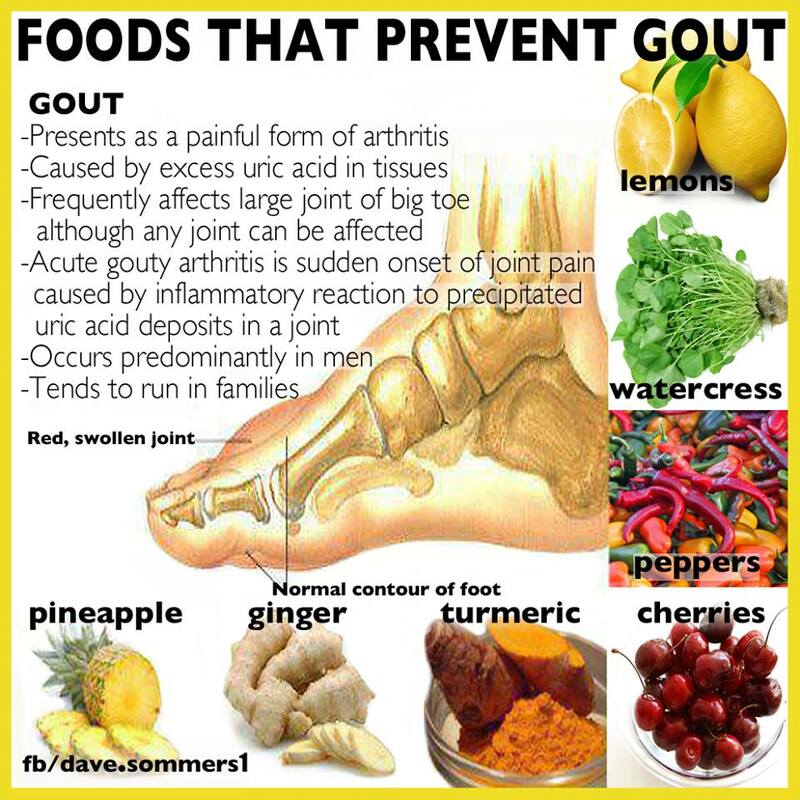 These foods can help to prevent gout this holiday season. No matter what your holiday plans are this year, make sure you take the extra steps to prevent unwanted foot pain from spoiling the fun!